Nadal: My goal is not to be number one, but to be competitive. Nadal: "My goal is not to be number one, but feel I'm competitive,"
Madrid, December 5 (EFE) .- Rafael Nadal, the tennis world number 2, said his goal for 2012 is "not recovering" the top ranking, but "feel" that remains "competitive" and can win tournaments. "My priority is to train, try to get well prepared, but I'm not able to set priorities. 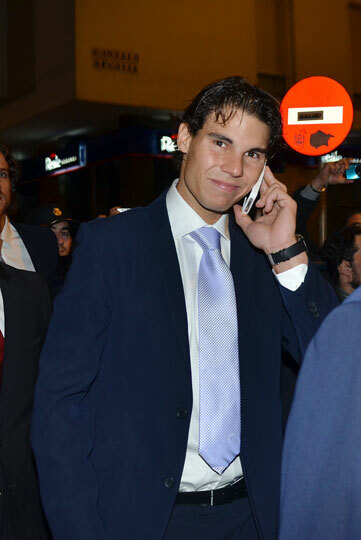 In 2012 I will do my best, and if I get to be number one will be fabulous, but just five will have done what is possible but I have not succeeded, "said the Spaniard player during the opening of the offices of a sports brand in Madrid. "My main goal is to feel that I can be competitive and I can win, then win or lose because it is part of the sport, and if one is doing well might reach the goal of the big tournaments or the Olympics, but the reality to get a tournament of this type is that you have done things very well before, "said Nadal. On the possibility to reconsider its decision not to play Davis Cup next season, was blunt and said he needed "time" to address the most important events.